Lt Gen PP Malhotra takes charge as the Director-General of NCC (National Cadet Corps). 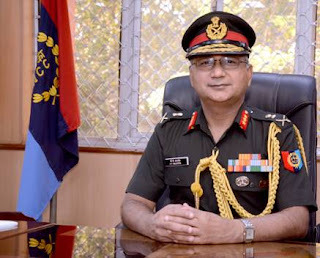 He replaced Lt Gen BS Sahrawat to assume office as the new DG of NCC. The NCC (National Cadet Corps) is the largest uniformed youth organisation in the world. He is an alumnus of the National Defence Academy, Pune. He was commissioned in the CORPS OF ENGINEERS of the Indian Army on 18 Jun 1983. He graduated from the Defence Services Staff College, Wellington, and did the prestigious National Defence College course at New Delhi. His qualifications include B.Tech from College of Military Engineering, Pune, and M.Tech from IIT, Powaii, and M.Phil from DAVV, Indore and M. Phil from Madras University. Prior to assuming his present appointment, he was the Chief Engineer of the Army's premier Northern Command. His distinguished professional career includes various regimental, staff and command appointments. The National Cadet Corps is the Indian military cadet corps with its Headquarters at New Delhi, Delhi, India. It is open to school and college students on voluntary basis. National Cadet Corps is a Tri-Services Organization, comprising the Army, Navy and Air Force, engaged in grooming the youth of the country into disciplined and patriotic citizens. The NCC in India was formed with the National Cadet Corps Act of 1948. It recruits cadets from high schools, colleges and universities all over India. It follows the motto “Unity and Discipline”.